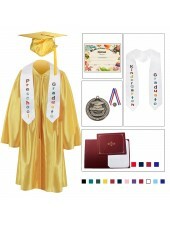 Children are only young once and you are going to want to make sure that you recognize all of their achievements with pride and enthusiasm. 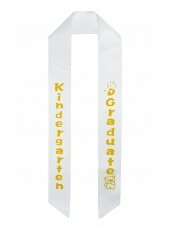 One of the biggest events in a young life is the gradation of kindergarten. 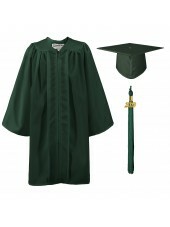 This big time in a child’s life represents them moving forward into grade school and growing into the person they are destined to become. We understand this at Graduation Mall and offer kindergarten graduation robes to make your child’s day that much more special. Kindergarten graduation ceremonies will be remembered by your child, so make sure you choose Kindergarten graduation gowns and caps that your child will cherish for years to come, by choosing one of our fine graduation cap and gown for kids. 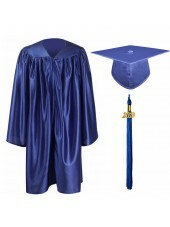 At Graduation Mall, you will find a wide selection of kindergarten caps and gowns for children of all shapes and sizes. 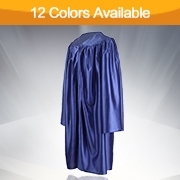 Our huge selection of cap and gowns for kindergarten graduation come in 12 different colors and 4 different sizes to choose from so you can be sure we have the perfect kindergarten graduation gown to fit your little one. 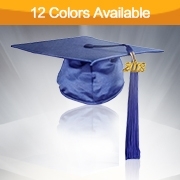 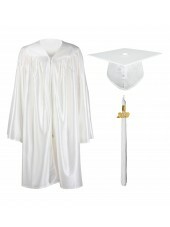 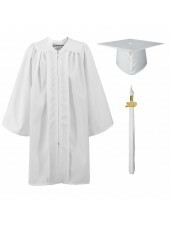 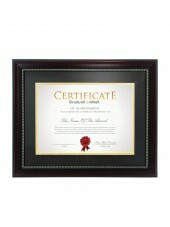 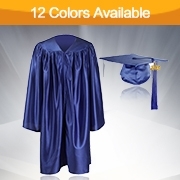 Your child will love the shiny polyester finish which makes each of our kid graduation gowns, sparkle like a gem. Best yet, our full line of graduation gown for kindergarten are specifically designed to be comfortable with feature long flowing sleeves and lightweight, breathable material. 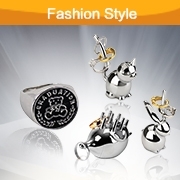 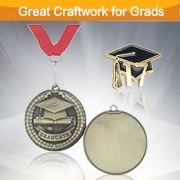 Graduation Mall has already provided many customers with quality kids’ regalia, and ensures quality craftsmanship and beauty with each kindergarten regalia we sell. 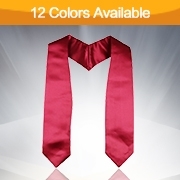 Graduation Mall has been providing kid’s regalia to parents like you for years and ensures quality craftsmanship, beauty and comfort in each and every one of our kindergarten graduation robes we sell. 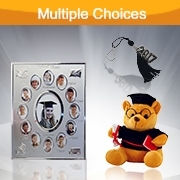 In fact, many of our customers have returned to us over and over again as another one of their children hit this important milestone in their lives. 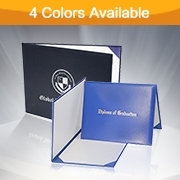 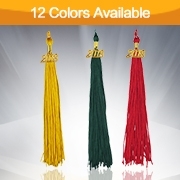 Educational institutions that would like to place a large order of kindergarten cap and gown will receive a discount for bulk orders; the more you buy, the more you will save when you choose quality kids graduation regalia at Graduation Mall. 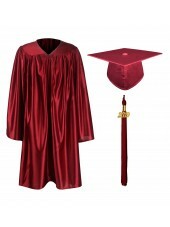 Kindergarten cap and gown sets are one of our best selling items and we ensure that each of our kindergarten caps and gowns exceeds expectations, or we will do everything we can to ensure you are happy!